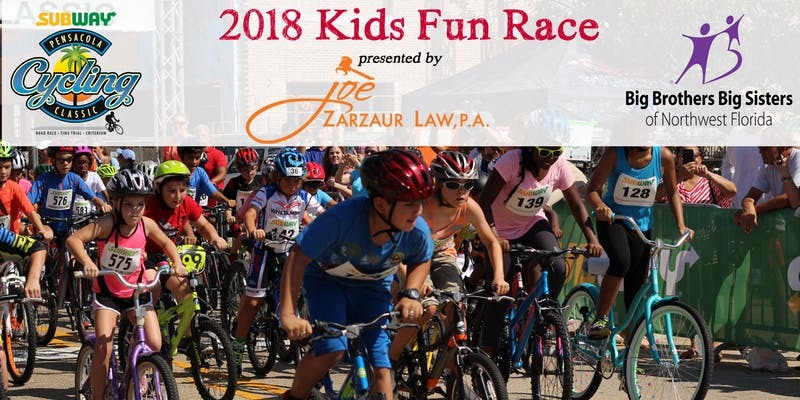 ​Join the Subway Pensacola Cycling Classic for a fun and FREE kids bike race, presented by Zarzaur Law! Children 12 years old and younger will get a chance to be part of the 9th annual MusculoSkeletal Center / Medical Center Clinic Criterium as they ride through the downtown course. Each child participating will receive a medal* and a chance to win a new bike! Make sure you and your child are at Government & Jefferson St. by 9:00am to check in! The distance will only be one lap (approx. ¾ mile) for ages 8 to 12 and ½ lap for ages 7 and under. Prizes will be awarded to top 3 finishers for both races! Children must wear a helmet to participate in the fun race. * Medals are guaranteed to the first 100 registrants. 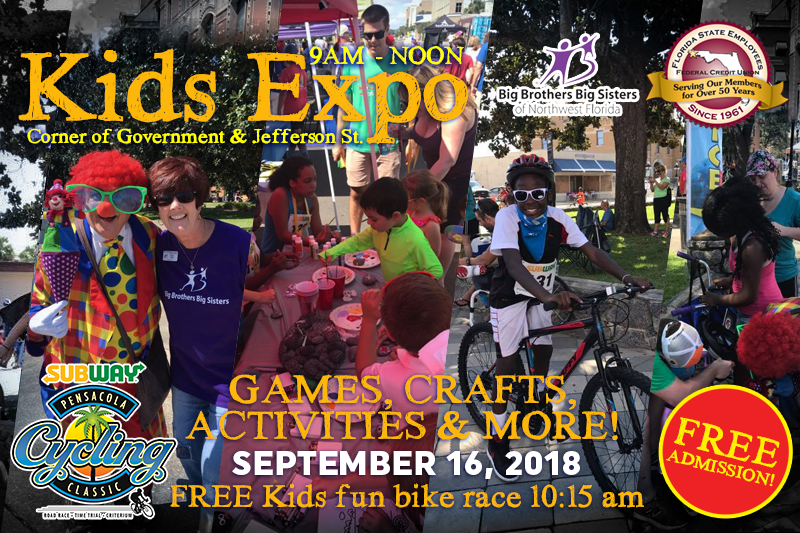 Make sure to stop by Government St. before and after the race for the 2018 Kid's Expo presented by Big Brothers Big Sisters of Northwest Florida! There will be music, games, bike & helmet decorating, photobooth, and MORE!